What can I do to reduce the number of ticks on my property? 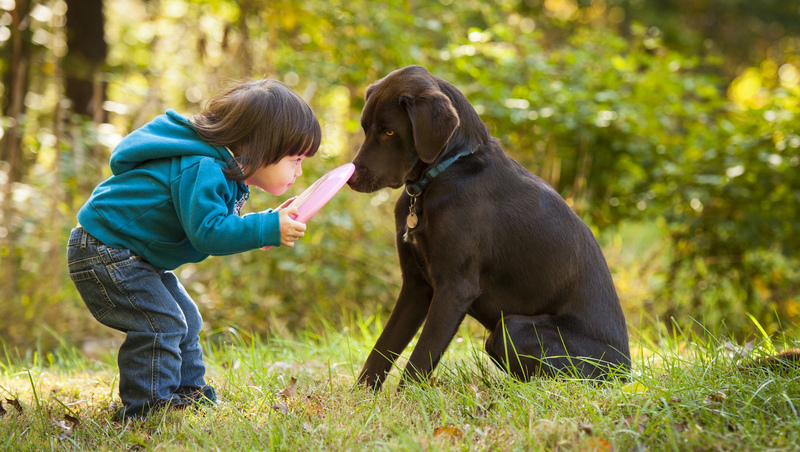 How can I protect my family and pets from tick-borne illnesses? Welcome to Tick Talk Maine— your source for information and professional treatment to dramatically reduce the number of ticks on your property. 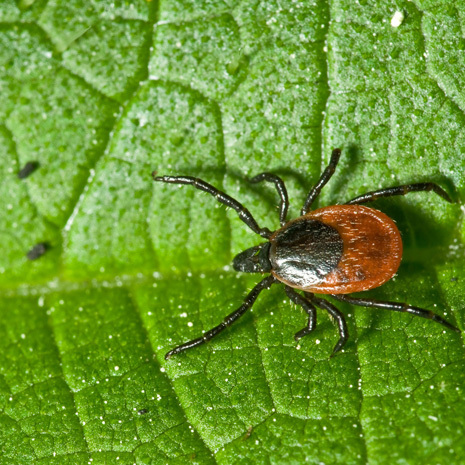 Tick-borne illnesses, especially Lyme disease, are on the rise. Who's at risk? Anyone spending time outdoors in proximity to tick habitat including: homeowners, gardeners, hunters, fishermen, golfers, hikers, campers, pets, and yes, children playing in the yard. 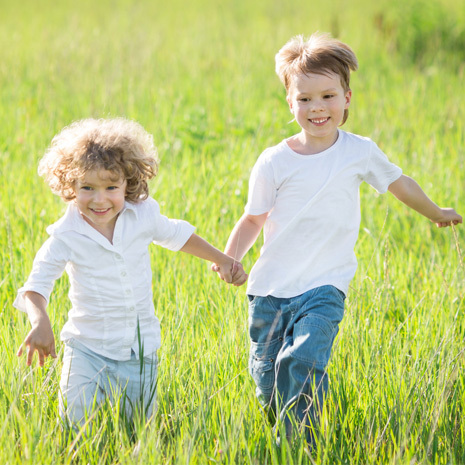 In fact, children between the ages of 5-14 have the highest incidence of Lyme disease. Due to the epidemic numbers of people being treated for Lyme disease, the study of ticks, their habitats and information on how to reduce their numbers has increased dramatically over the past decade. With better understanding of the tick's lifecycle, effective new methods have been developed to drastically reduce tick populations in treated areas. Tick Talk Maine is proud to be certified by the State of Maine Board of Pesticides Control. We are licensed to apply treatments to your property that are safe for people, pets and plants when applied by a trained professional. The Centers for Disease Control in Washington, D.C. offers a wealth of information on all facets of Lyme disease and tick-borne illnesses, their causes and treatments. Clicking on the CDC logo above will take you to their website dedicated to understanding of transmission and treatment of Lyme disease. Call us if you have any questions, wish to know more about our company or need advice and assistance managing ticks on your property. Our free brochure can be downloaded here! 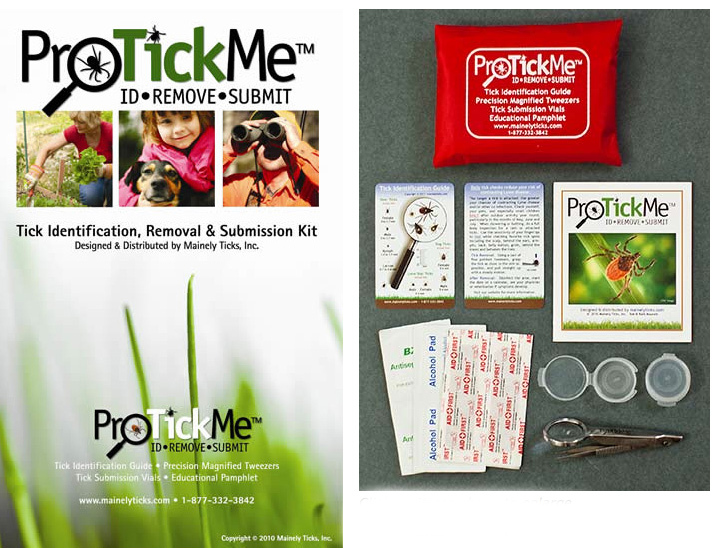 Order a ProTickMe® kit with tick identification card, magnified tweezers, an educational pamphlet and complete instructions for safe removal of embedded ticks. This kit also includes two submission vials to safely transport removed ticks to your physician or vet for identification, an assortment of adhesive strips, alcohol and antiseptic wipes all contained within a durable zippered nylon pouch. Handy for home, glove compartment or back-pack.